That morning Amelia walked to the coffee shop on the corner of her new loft space in downtown Los Angeles. She ordered her black iced coffee like she always did with a new feeling of hope because she knew no one in that coffee shop yet and she was just a new customer. No one there wanted to talk to her about the bands she was listening to or what shows she was planning to go see. Most people would enjoy this type of conversation, however when it is part of your work and what you are “known for” it is hard to get away from it at times. So today when the barista asked her for her name for her order she felt a sense of relief. Amelia knew that eventually she would be the “cool customer” that one song was written about a few years back which had most likely made it to the playlist of those who worked there. At some point it was bound to come on while she was in line to get her coffee and once again and all those conversations would begin. Eventually she would be told how lucky she was to have a song written for her. She would have to smile and nod that she indeed was lucky. The truth was however when Amelia would hear that song she would not only hear melodies and words but she would also find herself remembering that time in her life that song represented. For those 3 minutes & 27 seconds she was back with him. He was reading lyrics to her as she sat next to him on the tour bus when he came through Los Angeles. She still remembered how she did feel lucky when he put those lyrics to music and played it for her in a hotel room one late night when she flew to Chicago to surprise him on the road. And the first time he sang that song live to a few thousand people and hearing them sing it back was truly magical yet all that would change. But that is not where we are in the story yet and today she was just some random lady getting her boring iced coffee to go and Amelia was thankful for that. As she walked back to her apartment she began to think about the next project she was contracted to work on, a new Cameron Crowe movie that she was honored to be hired on to create the soundtrack. When she was presented with the script she read it right away so she could get the feel of the story. 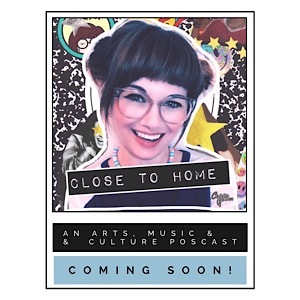 She didn’t have to begin work until July 6th but now that the story was in her mind she could start thinking of music that would fit into the script. If she was honest with herself she never truly stopped working, but she needed to take this time off to unwind and find herself again. She had lost herself in relationships over the last 20 years. The time she spent with Alexander, Ben and Oliver over those years shaped her life. She had only loved those three men who each played a part in who she had become as a person. She shared every emotion with them, huge life events and also tragic moments. She had forgotten who she was before them when it was just HER. Today was the first day of the rest of her life and she was ready for her new start. Her list of to-do’s that day was to continue unpacking boxes that had taken over her place. Until everything was unpacked and put in it’s place it wouldn’t feel like it was home and she was anxious to feel that again. She took a sip of her coffee, took a long look around the room, put her iPod on shuffle and got to work. She picked boxes at random and slowly began putting things in their place. Her mismatched vintage dishes went in the cupboard, her clothes neatly went in the closet and her record collection carefully placed on their shelves. She opened a box that contained memories that traveled with her all those years. She never let them go because they made her who she was today. She found a journal from the summer of 1995. The binding was barely holding on and was held together with tape. In this journal she would write about her daily life as a fifteen year old. She flipped through the pages that were filled with ramblings about that summer which for the most part seemed to have to have been in her teenage words “ a total drag.” As she turned the pages she found a single simple white string that brought a heaviness to Amelia’s chest. She took it out of the journal, tied it around her wrist as the memory of that ordinary object came rushing back to her. She stood there looking at it. It was old and dirty now, but at one point it was her favorite accessory. Thinking about it, she shuffled through her iPod and found a song that reminded her of a specific day that she had written about that summer. She hit play and again, just like the night before she found herself laying in the middle of her living room floor surrounded by boxes listening to music and being taken back in time to that summer. At this rate she would never get unpacked. “When I met Alexander I was completely unaware of what do say or act. I had never met anyone who shared interest in things I loved. On the surface my best friend Mary enjoyed the same things as me but she didn’t really LOVE what I did. We both enjoyed movies that we had rented at the video store in town. We usually rented the same five movies over and over because our little video rental spot never had too much to choose from. That summer we had rented Reality Bites more times than I cant count yet we never seemed to get tired of watching it. Needless to say we both were pretty much obsessed with singing Lisa Loeb’s hit ‘Stay’ and re-enacting the gas station scene while screaming The Knack’s ‘My Sharona’ at the top of our lungs. We would also listen to music that she really liked when I would stay over at her house which were for the most part radio hits, Bush, No Doubt, Live, Everclear. I enjoyed them but I couldn’t explain to her how the unknown bands or songs that I discovered made me feel. I for sure couldn’t explain that another person had never been able to make me feel as much as those bands did. That was true until I met Alexander. That first interaction with him felt like someone on the outside was writing the story of my life and decided to finally make my lifestory interesting. Here I was a month and a half shy from turning sixteen and living in a tiny Texas town. I looking for place to belong and I didn’t know that it was possible to ever find it honestly but I did have hopes that turning sixteen and getting a drivers license would help that a little, maybe. The day Alexander came into the picture I was working a double shift at the roller rink. I wasn’t too thrilled about being stuck there all day but I got to play one of my mixtapes over the sound system which was a rarity. Usually it was Mariah Carey and whatever else was on the Top 40 that week. These songs battled for teenager’s attention about twice an hour, every hour during my entire shift. My father gracefully let me take over the stereo once in a blue moon and it was the most exciting part of my life. One of the speakers was going out so there was this constant popping noise in the far left corner of the room where the stoner kids would hang out. They didn’t seem to mind and I could get past the pops too for a chance to play my tapes. For that hour or so it felt like I was a host on MTV sharing my favorite music with the world. My favorite band that summer was Classic Movie Monsters, a garage band out of Birdseye, Indiana. 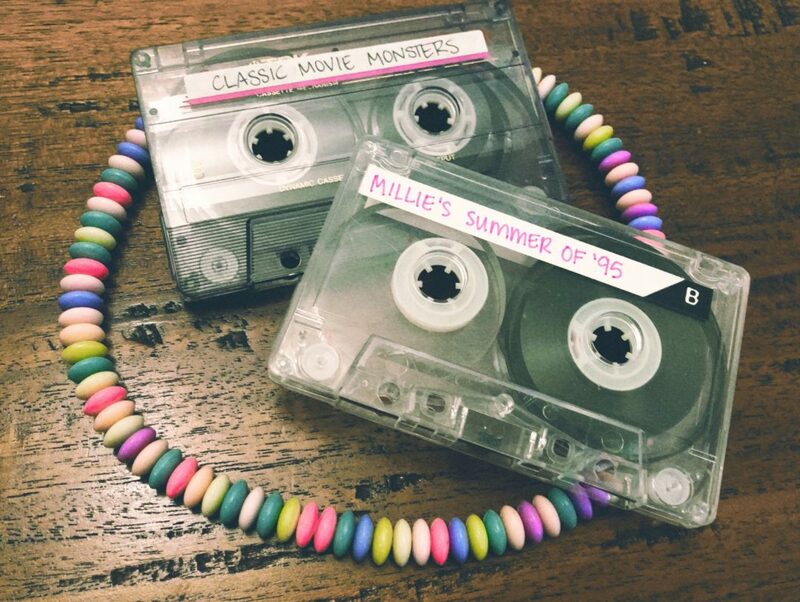 My friend Sam put them on a tape for me that year and they became my obsession. I don’t even think the band themselves knew anyone outside of their garage knew who they were, yet here I was a thousand miles away loving them more than any other band I had ever heard. Their songs played that night in the rink as the kids skated around, most not even paying attention to the music. It frustrated me so much that those pop princesses and one hit wonders got all the attention but not Mitch, Kevin and Ben who made up Classic Movie Monsters didn’t. The feelings I had about that band is part of the fuel that got me to where I am today. The world needed to know who they were and I was out to make that happen…for them and all the other nobody bands that captured my attention and most importantly my heart. I often got lost in my imagination while thinking of a plan on how to make these things happen and that is where I was that night in 1995. I was in full daydream status while staring at the wheels of the skates roll on the waxed floors while the lights of the disco ball collided with them when Alexander came up to the snack bar. “Wow. I love this song. ‘The Way She Does Her Hair’ is my favorite of the Monster’s stuff. It’s a little more indie sounding than some of their other songs that I have heard,” he told me as he stood there in front of me smiling. I was totally shocked. For a split second I thought it was part of a joke. Who in Marling loved this song or even knew who Classic Movie Monsters were? Mary totally must have told this stranger to come up and say that because she knew I would find that insane. “Mary is hilarious. How do you even know her? I didn’t know she knew of anyone outside of Marling,” I said sarcastically still convinced that he was part of some scheme to trick me. So this was real. He was real and he was standing right there in front of me appearing out of nowhere and into my life. His hair was longish, dirty blonde and tucked behind his ears. He was wearing a shirt of a band I had never heard of, which doesn’t say much but I already thought it was the coolest shirt I had ever seen. It was compliment by jeans and Doc Martens. I looked at my own coveted Doc Marten Mary Janes that I was wearing, knowing that Alexander and I would have more than just music. Over the remainder of my shift at the rink that night Alexander stayed there at that snack bar and talked to me. We talked about music mostly and I pretended to know more than I actually did because I was afraid he would see me as a boring small town girl that knew nothing about anything. As time went on I could see that he wasn’t that type of person and I felt a genuine sense of acceptance. It was a feeling of freedom in a strange way. Strange and comfortable at the same time. He told me that he had seen Classic Movie Monsters at a basement show when he went to visit his grandparents in Indiana a few months back. “No. I only know the songs that my friend Sam put on a mix he mailed me this summer. Is it as good as their older stuff?- I said feeling extra lame. He continued to tell me details of the show, but I couldn’t focus because I was still confused on what was going on. Where did he come from and how did he end up here with me? It didn’t make sense. Naturally I began to overthink all of this, yet being interrupted by kids needing snacks from the bar made it easier to snap back into reality and take in what he was saying. At one point head cheerleader and total spaz, Tiffany Jenkins marched up to us…. “What is this crap playing?! Can you please put on something normal?” Tiffany obnoxiously asked while rolling her eyes towards Alexander. She rolled her eyes again and marched off back to her crowd of sheep by the pin ball machines as we laughed to ourselves. Alexander made me nervous but it a good way and that poor candy necklace was my victim. It never stood a chance. When it came to guys, I never knew that I even had a “type.” But as it turns out I did. Alexander’s hair was the perfect length and not all gross and tangled like the long hair the stoner skaters had. He smiled a lot which I liked because it made me feel safe. His eyes were a light brown, almost the same color as his hair. People always talk about blue eyes being the perfect shade, but I decided that the shade of brown his eyes were was by far better than any blue eyes I had ever seen before. He was a little taller than me, slender and seemed confident in who he was and that was so attractive. Did I mention that smile? Oh, that’s right I did. That dang smile seriously got to me. Eventually the rink had to close up for the evening so I began to count the register. With every single coin and crumpled dollar I became more and more intrigued by Alexander. He never left the the snack bar the whole night and felt good having someone who genuinely wanted to talk to me. He didn’t seem interested in what else was going on around him and for the first time in my life I felt interesting. As we locked up the doors my father and I talked about how I was going to walk to Mary’s house which was right around the corner. I could tell he was hesitant about leaving me hanging around an empty parking lot with a stranger, but the great perk of being one of those good kids that doesn’t have much of a life is that your parents trust you. He agreed to let me walk the couple blocks to Mary’s. He gave Alexander a look that said “ I have ALL eyes in town on you” as he hopped his truck and drove away. His taillights faded into the distance while we just awkwardly and quietly stood in the parking lot. Knowing that it was time to say goodbye I continued to nervously chew on that candy necklace. It was down to a orange sugary loop that I broke with my teeth to finish it off. Since I was still nervous I now had to find something new to fixate on so I began playing with the little white elastic string. Alexander smiled at my fidgety nature which made me blush. I felt completely out of control of my body and I felt warm which I knew that was weird because it was hotter than all get out that day. I was excited, flustered and insanely anxious all at the same time. That didn’t stop us from talking until the sun began to come up. I was shocked on how fast time had gone by and began to stress that my father would find out that I never made it to Mary’s house and send a search party. As much as I hated to say it I told Alexander that I should probably head home while still playing with that white string. He then took it from my hands, broke it in half and tied one piece around my wrist and the other around his. All of a sudden this silly insignificant white string was my new favorite possession. A few short hours before we didn’t even know each other and now we had something we shared. Surprisingly to me for first time in my life I was giddy and it was not at all what I thought it would feel like. I used to make fun of girls for this stuff and now it all made sense to me. It was weird but oddly thrilling. The sun began to rise and I knew that I needed to make my way home or at least to Mary’s before someone in town saw us word got back to my parents that I was out all night with that “new boy in town.” God forbid someone sees us and starts some lame rumor in this town. It was ridiculous to me how this type of chatter would go on in Marling. What would be just me hanging out talking to this interesting guy would turn into “Did you hear Millie is running around tramping it all up at all hours of the night? What a shame. She used to be such a good girl.” Alexander offered to give me a ride and much as I wanted to hop in his Volkswagen I knew that it would be a better idea to not because of how this town loved to run it’s mouth. I explained that to him and we both laughed. “Yeah, I would like that.”- me, nervous as all get out. I couldn’t believe that I just got asked out on a date. This couldn’t have been real life. This doesn’t happen to me. What was going on? -This chapter is inspired by ‘Candy Necklace Kind Of Love’ by Morella’s Forest. 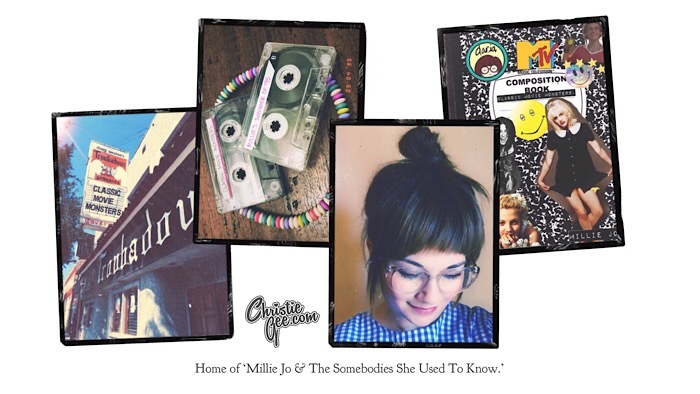 You can hear this song and other songs that inspire Millie’s story. If you are a fan of streaming on iTunes you an also find the playlist there as well. BOTH are linked in the menu at the top of the screen.